Este pasado viernes, 18 de mayo, 2018, los directores de 20 zoológicos mexicanos se reunieron en San Diego, California, con varios profesionistas del equipo del Zoológico de San Diego con el propósito de actualizar e informar acerca de varios proyectos de conservación donde los gobiernos y zoológicos de México y los Estados Unidos de América trabajan en conjunto; entre los cuales incluyen proyectos para la introducción del Cóndor de California y del borrego berrendo, entre otras especies. Estos programas de conservación han sido beneficiados gracias a la cooperación entre los zoológicos y los gobiernos de ambos países. El hecho de trabajar juntos como socios, ayudándose el uno al otro para aumentar nuestra capacidad, ha sido clave en el éxito en programas de conservación multi nacional. Aprovechando esta oportunidad tan singular de poder reunir, el Sr Jon Prange, director de la Academia del San Diego Zoo Global, con directores de los zoológicos de México, anuncio, por medio de un intérprete, una noticia muy relevante: que un grupo de personal bilingüe había estado trabajando desde el mes de enero para traducir al español la versión del curso de Bienestar Animal que se encuentra en inglés. Previo a esta noticia, se presento ante este grupo de directores el curso "Bienestar Animal," introducción y el primer tema, todo en su propio idioma, el español. Por todo esto, los directores de los zoológicos mexicanos quedaron muy complacidos. 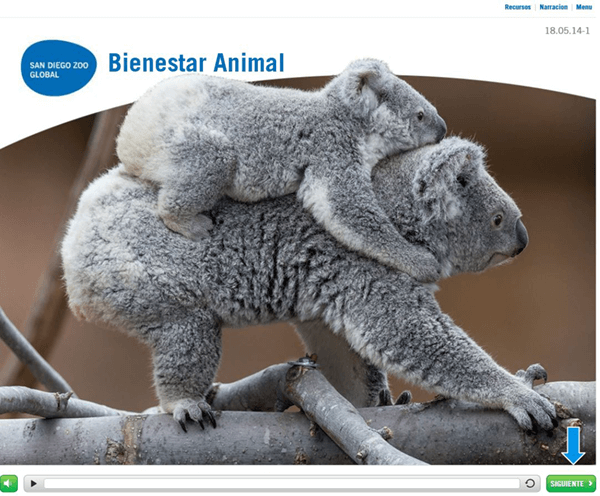 El curso de Bienestar Animal en el idioma español puede ser localizado en el sitio del internet de la academia en sdzglobalacademy.org/courses.html y se ofrece en forma gratuita, desde cualquier parte del mundo. Hace tres años, el mismo equipo tradujo el curso de "Bioseguridad y Prevención de Enfermedades Zoonoticas." En los Estados Unidos, para adquirir la acreditación, es un requisito que el personal profesional de cuidado animal aprueben el curso y sean capacitados en forma recurrente en la prevención de enfermedades zoonoticas y cuidado animal. Ambos cursos, que incluyen casos de estudio con video, ya se encuentran disponibles en su totalidad, ya sea en inglés o español. Nuestros amigos de México acordaron participar en la traducción de cursos adicionales de la Academia, que incluye temas como "Los Fundamentos de Aprendizaje Animal" y "Trabajando en Manera Segura con Animales Peligrosos." On Friday, May 18, 2018, the directors of 30 Mexican zoos gathered in San Diego for all-day meetings with several of the San Diego Zoo's professional staff. The meetings focused on updates of several joint ongoing conservation projects between the governments of Mexico and the United States, including introduction programs with California Condors, western pronghorn, and other species. These landmark conservation programs have benefited from cooperation at the highest levels of our governments. Partners helping build capacity has been key to these multinational conservation success stories. Leveraging this rare opportunity to meet face to face, San Diego Zoo Global Academy Director Jon Prange, through an interpreter, announced a special surprise. Mexican zoo directors were delighted to learn that a team of bilingual animal care staff had been working since January to translate the Animal Welfare professional course into Spanish. Before this exciting news had settled over the room, the directors were enjoying a guided tour of the new course, its introduction, and the first topic, in their own language. The Spanish language Animal Welfare course can be found on the Academy's website (sdzglobalacademy.org/courses.html) and is now available free of charge, anywhere in the world. Three years ago, the same team translated the Academy's Zoonotic Disease Prevention and Biosecurity course into Spanish. It is an accreditation requirement in the United States for professional animal care staff to complete and have recurrent training in both zoonotic disease prevention and animal welfare. Both of these full-length courses, complete with several video case studies, are now available online in English or Spanish. Our friends from Mexico agreed that the challenge of translating versions of other Academy courses, like Fundamentals of Animal Learning and Working Safely with Dangerous Animals, will rest with them and our South American professional colleagues. 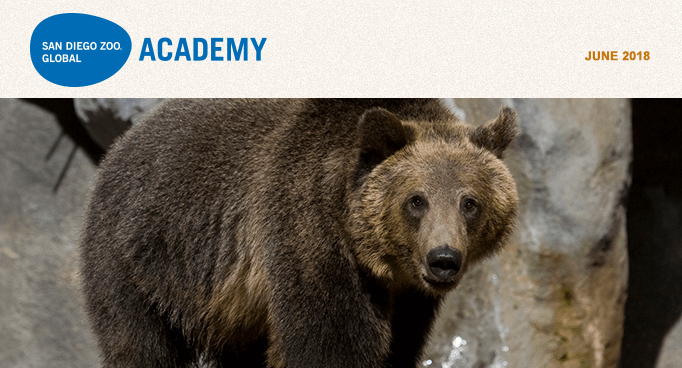 Bear Down, San Diego Zoo Global Academy! "Bear Down, Arizona!" is how members of the University of Arizona family of students, alumni, and supporters greet each other. Our partnership with the San Diego Zoo Global Academy started in fall 2017, and we look forward to continuing to expand our relationship in the coming academic year and beyond. We hope to continue to provide opportunities for students to make a difference in wildlife conservation in the School of Natural Resources and the Environment at the University of Arizona. We offer a bachelor of science degree in Natural Resources with specialization in Wildlife Conservation and Management, Fisheries Conservation and Management, and Conservation Biology (among other environmental plans). One of the challenges that faces such programs is that potential students no longer have some of the traditional hands-on experiences with wildlife and natural environments that have sent students into our field. Zoos and aquariums are often THE major point of contact for our current and future students. In addition, the evolving role of these conservation facilities is to partner with like-minded organizations such as universities, agencies, and non-government organizations to expand the impact of conservation efforts. We decided that training our students about the importance of zoo-university-conservation agencies partnerships was necessary to produce employable scholars with a passion to make a difference in conservation. 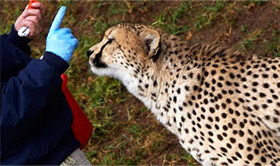 In 2017, we unveiled a certificate program in Zoo and Aquarium Conservation, which incorporates coursework and internships to prepare our students to work with zoos and aquariums, and increase their appreciation of these facilities, in order to maximize the impact they might have in wildlife conservation. Immediately, we thought of local partners such as the Reid Park Zoo, the Arizona-Sonora Desert Museum, OdySea Aquarium, and the Phoenix Zoo, but we wanted to expand to other entities. The San Diego Zoo Global Academy provided the ideal link to expand our connections relatively easily, and to enhance our educational mission. My new course (WFSC 385: Zoo and Aquarium Conservation) immediately closed with 48 students. We partnered with the Academy to provide the wonderful online course platform, which enabled students to explore their interests and learn a great deal of important practical information. We used experiences with our local zoos and aquariums for in-person interactions and internships, but we were able to supplement that with the colorful, informative tutorial courses in the Academy's platform. Online options that students can fit into their complicated schedules of studies, courses, work, internships, and other elements of college life are particularly attractive. Students very much enjoyed the experience that enabled them to not only review required modules, but also gave them the freedom to explore their interests. The student consensus was a clear thumbs-up on continued collaboration with the Academy. We look forward to a long and expanding relationship with the Academy that we are convinced is mutually beneficial. Bear Down, San Diego Zoo Global Academy! The Reid Park Zoo in Tucson, Arizona is part of the Academy's collaborative learning environment! 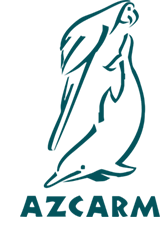 San Diego Zoo Global Academy has been invited to present a session on blended and online learning at the National Marine Educators Association's (NMEA) national conference this summer in Long Beach, California. The session — titled "Full Steam Ahead: World-class Training at Your Fingertips" shares the experience of how the San Diego Zoo integrated online training into a current training program to overcome a major challenge: getting all participants together in one place at one time. The program structure makes it easy for individuals to learn at their own rate and provides the freedom to train anywhere, at any time. NMEA is an influential member-based organization of classroom teachers, informal educators, university professors, scientists, and more from around the world, working together to advance the understanding and protection of freshwater and marine ecosystems. From scientists working in the deep sea to students studying underwater archeology in the Great Lakes, NMEA members are dedicated to "making known the world of water," both fresh and salt. NMEA educates and inspires people to understand and value their relationship with the ocean and all watersheds, providing access to the best available science, educational practices and resources. The organization links members to other professional organizations, enabling the sharing of ideas, resources, and progress. The annual NMEA Conference will be held July 17 to 21 aboard the Queen Mary in Long Beach, California. The conference theme is "Charting a Course for Conservation." Please join us for the Administrator's Users Group Webinar, hosted by Academy partner CypherWorx. The next webinar is Wednesday, June 20, at 11 a.m. PDT.